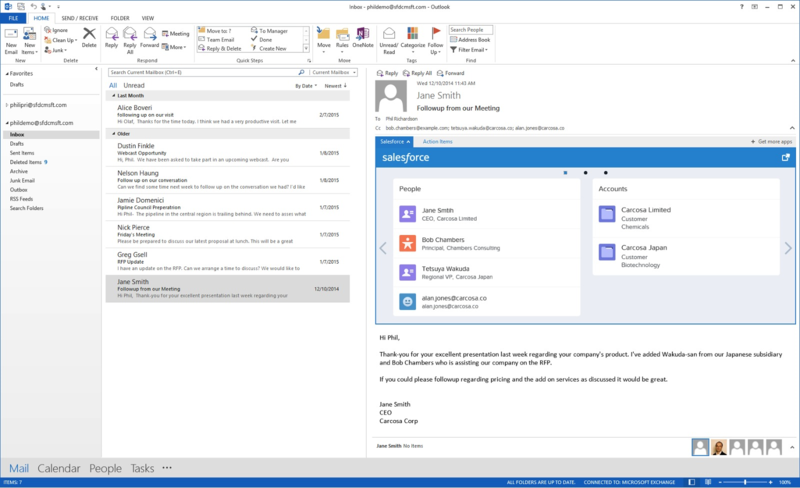 The Salesforce App for Outlook is now available as announced on the Salesforce blog. 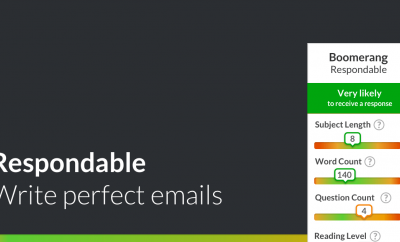 It is available for Outlook and Office 365, and it’s fully cloud-based, which means no downloads or installs are necessary. The Salesforce App for Outlook allows you to view Salesforce contacts, leads, accounts, opportunities, cases and users in context of email right within Outlook. Whether it is a followup on a deal or a new lead, or a support ticket that is still open: you can keep track of its progress right within Outlook. The Salesforce App for Outlook is in beta and requires a subscription to Salesforce Enterprise Edition (or higher). and the app works with Mac and Windows and Outlook 2013 and Outlook Web App. 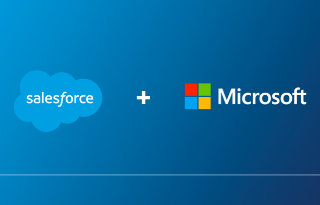 For users of legacy, on-premise versions of Outlook, the Salesforce for Outlook plug-in remains supported and the Salesforce development team is adding new features in every release. To find out more about the app and options for Salesforce customers, be sure to check out the announcement on the Salesforce blog here. 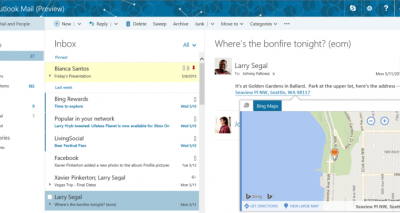 Salesforce App for Outlook is great for Office 365 users. However, it unfortunately doesn’t support native Outlook 2007, 2010 and 2013. Nor does it support IMAP or POP3 which Salesforce users have been recently frustrated with. I suggest taking a look at ContactMonkey. It not only let’s you view a person’s Salesforce record like Salesforce App for Outlook, but it also let’s you edit their record right within the Outlook inbox. It also logs outbound and inbound emails into Salesforce including custom objects.